The market of used engine and auto parts is saturated with number of options through that one can easily choose the products that he or she is looking for. But when it comes to authenticity and after sales service then there are a few dealers who can truly offer you best in everything and among them one such name is Sharper Edge Engines. Our years of experience and magnificent knowledge on variety of engines differentiate us from other dealers. Moreover we never push our customers towards any such option that is not relevant for them that is why we are quite appreciated by our clientele. 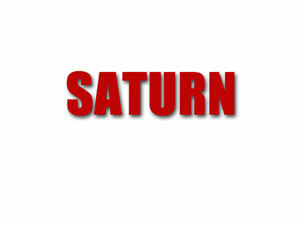 We specialize in all kinds of remanufactured Saturn engines. We understand that it is not easy to just step-in and buy any used engine because here we are talking about the investment of thousands of dollars. As a smart buyer you need to focus on certain attributes in order to select the best possible option in used Saturn engines. 1. What kind of engine you are looking for under Saturn brand? 2. What automobile market has to offer you? 3. The years of experience and licensing of the used engine dealer? 4. Overall performance of the product and whether it is worth to its value or not? 5. After sales service or warranty period? So if you are assessing these attributes thoroughly then in all these categories you will find Sharper Edge Engines on top followed by other dealers. So go ahead and browse our inventory of rebuilt Saturn engines for better deals. The success of Japanese automobiles in the market of United States was progressing at tremendous rate during the decade of 1980s. In response to foreign automobile success on the soil of United States General Motors establish a subsidiary by the name of Saturn Automobiles in year 1985. It was definitely derived from its parent company but in reality it was operated independently in terms of retail network, production plant and unique models. The establishment of Saturn brand in automobile industry was started just from an abstract idea by Alex C. Mair who thrived to design revolutionary compact and powerful small sized cars then in following year this idea was put into action and eventually in January 1985 Saturn Automobiles was officially established. This automobile brand has the life span of about 3 and a half decades in which it presented some magnificent models and technologies to the world. Later in year 2009 when an acquisition attempt by Penske Automotive failed then General Motors decided to shut down the production of Saturn automobiles. The existing models were sold till October 2010 but the production of new Saturn cars was ceased in October 2009.However you can easily find some of the quality oriented used Saturn engine for sale in the market so start your search by visiting our inventory as we have appreciable range of used Saturn engines. Sharper Edge Engines will help you find the rebuilt saturn Engines to obtain the used engine of one's desires, only by making use of your desktop computer and the web, in much less time than it'd simply take by more common techniques. We offer all variants of Saturn engines moreover we provide complete three years warranty on our remanufactured Saturn engine.So go ahead and call us today to grab some of the best deals in used Saturn engine.